The human spine is a complex structure. While load bearing is largely handled by the anterior vertebral bodies and spinal discs, our ability to twist and bend backwards and forwards is enabled by the posterior facet joints. The vertical canal (created in the centre of the spine by the vertebral arches, which join the vertebral bodies, facet joints and spinous processes), is known as the spinal canal. This canal acts as a safe channel for the spinal cord and nerve roots, which exit the spine in pairs (one to the left and one to the right) at the level of each disc, through openings known as the neural foramina. 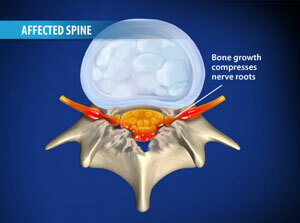 A narrowing of the spinal canal is referred to as spinal stenosis. A narrowing of the lateral openings for the nerve roots is referred to foraminal stenosis. What are the typical symptoms of spinal stenosis? The narrowing of the spinal canal can put pressure on the spinal cord and the nerves that branch out from the neural foramina. This can cause back pain and pain that extends down into the legs as far as the calves. The pain associated with spinal stenosis ultimately causes disability as it increasingly limits the capacity to tolerate normal activities. One typical sign of the disorder is a steady reduction in the distance that one is able to walk before needing to take a rest. Spinal stenosis is one of the main causes of a condition known intermittent claudication (pain when walking). Sensory disturbances, lameness, and loss of muscle strength in the legs may also occur. To diagnose spinal stenosis your doctor will ask you questions about your symptoms and carry out a comprehensive physical examination. You may also be required to undergo a neurological examination. A variety of imaging procedures may then be used to complete the diagnosis. 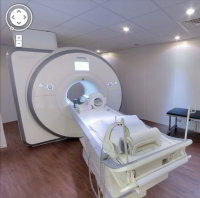 These include myelography (a procedure in which a liquid contrast medium is injected into the spine before x-rays are taken), computed tomography (CT) and magnetic resonance imaging (MRI). What treatment options are available for spinal stenosis? Less pronounced cases of spinal stenosis and foraminal stenosis can often be treated without surgery. In this case extensive physical therapy and medication is required to alleviate the pain. Such conservative approaches can be supported by forms of minimally invasive pain therapy to eliminate immediate pain and disability. 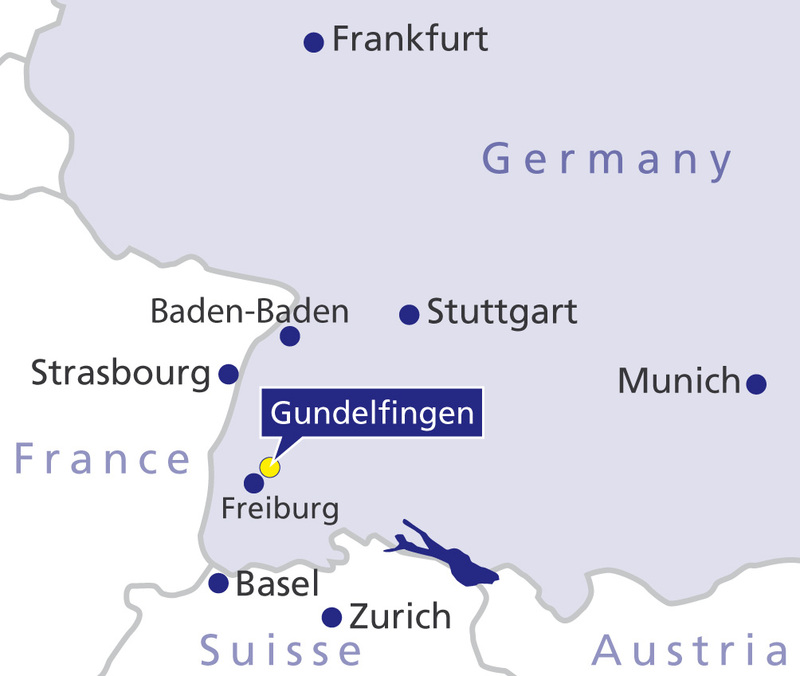 At the Gelenk Klinik these forms of treatment are carried out on an in-patient basis. Surgery should be carried out whenever neurological symptoms are present. These include lameness, numbness and loss of function (especially loss of bowel or bladder function). Surgery should also be carried out whenever the pain limits your capacity to participate in normal activities, such as walking and working. The aim of surgery is usually to decompress nerve roots or bundles. This is either achieved by removing tissue protruding into the spinal canal, or by expanding the volume of the spinal canal. Regrettably, the outcomes of surgical intervention, which usually requires external fixation, are often disappointing. Many patients continue to experience back pain. Many others enjoy no more than temporary relief. Added to this is the fact that many procedures preclude other surgical options. For this reason, we use a step-by-step, escalating approach at our clinic to treating spinal stenosis. The type and extent of the surgical intervention is always adapted to the needs of the individual patient. The procedures are minimally invasive and involve changes that do not limit future treatment options. Follow-up treatment after surgery for spinal stenosis is often by necessity comprehensive and time consuming. However, this too, will depend on the cause and extent of the stenosis, the degree of the neurological changes involved and the particular form of surgery selected. It will also involve a mixture of out patient, in patient and home based elements (e.g. physical therapy). Temporary external fixation may be required in some cases, which would need to be removed after some time.